Ashley Benson Debuts Dark New 'Do! Apparently blondes don't have more fun -- Ashley Benson has traded in her signature blonde locks for a brunette new 'do! The "Pretty Little Liars" star showed off her darker tresses at the "Spring Breakers" premiere at the SXSW film festival in Austin, Texas on Sunday. The 23-year-old looked super chic sporting a long black sheer dress with lace details, with her hair styled in an elegant updo. While we prefer the actress with blonde hair, the auburn color really makes her blue eyes pop! How do you thinks he looks? 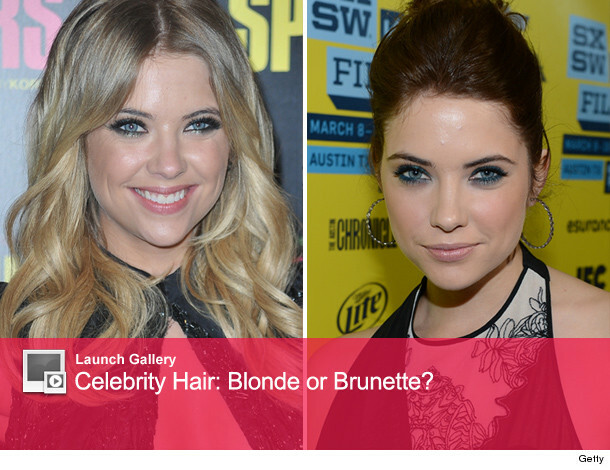 Sound off below and click "Launch Gallery" above to vote on more stars' blonde and brunette 'dos! Selena Gomez Stuns in Harper's Bazaar!